57 runners,16 volunteers, and guests we had on 17th March 2018 who made our event successful and the participants did not only ran the trails but also experienced Zumba dance led by Jayne. 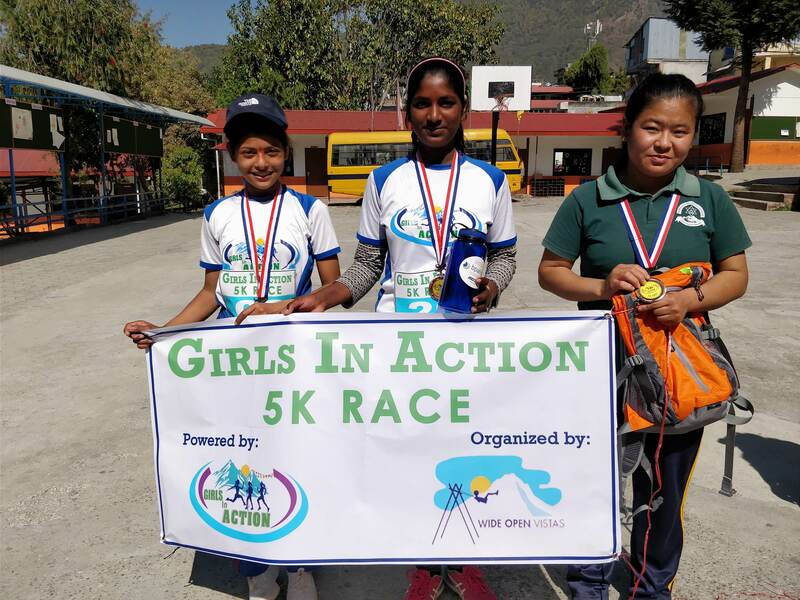 Out of 57 runners, 35 girls belonged to Girls In Action-Season4 team members who had been through almost 28 days of training; 10 girls from Himalaya School were sponsored by WOV and rest of were other female individuals. We concluded the event by dancing to the music beats, food, prizes distribution and the closing speech by Director from Himalaya School. 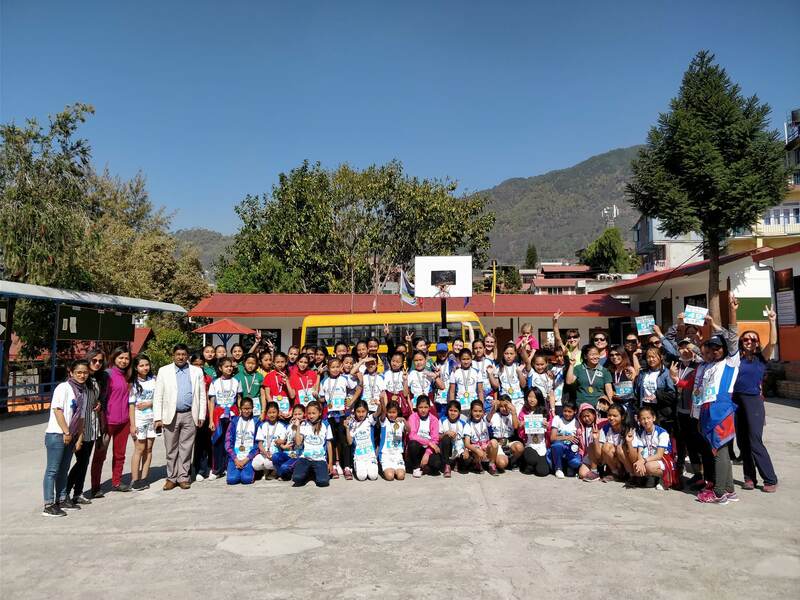 WOV would like to express our gratitude to Himalaya School for providing the space and their continuous support in every possible way they could. Thanks to amazing volunteers who worked out and coordinated things so better. Adding to this list, we feel grateful to have the representative from the school itself as our guest and last but not the least our awesome participants who looked so energized all the time. Cheers to the WOV team for successfully completing its first ever organized race and thanks again to every other individual behind the scene for helping us through different ways. Your support is precious. The top-3 posing with their prizes.